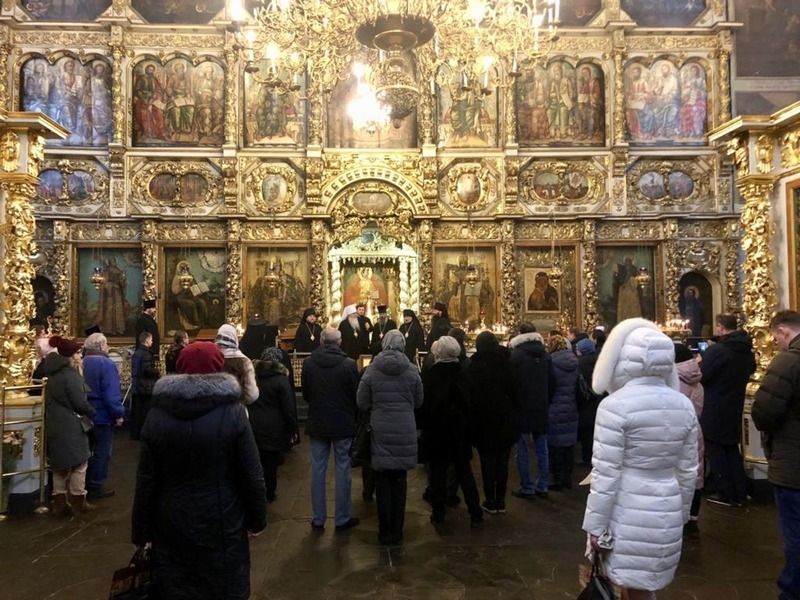 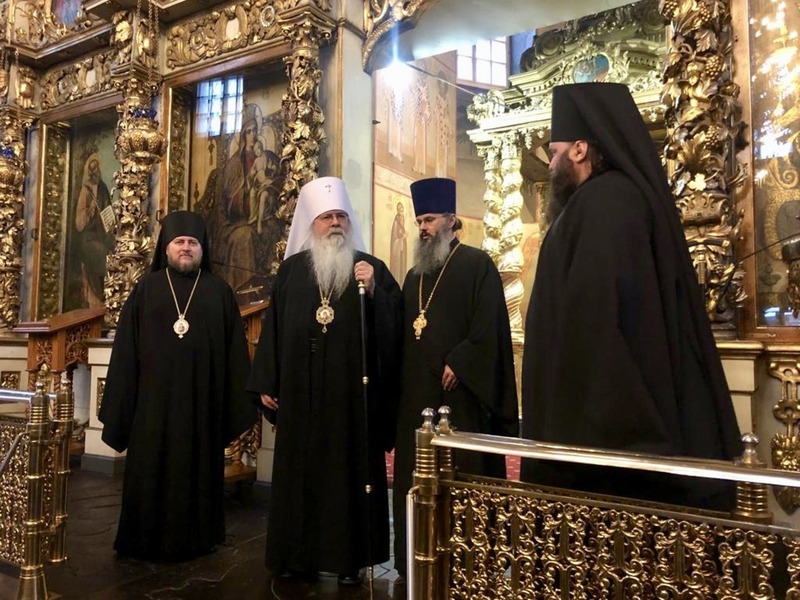 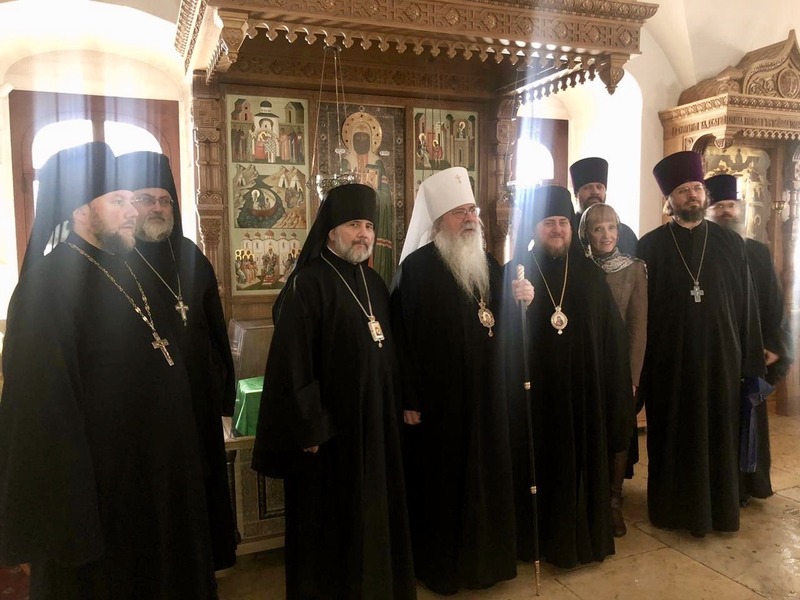 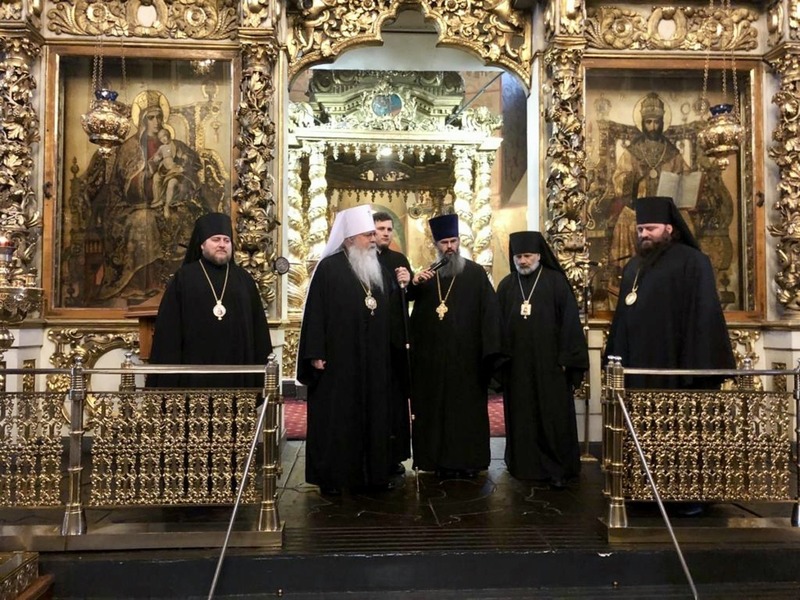 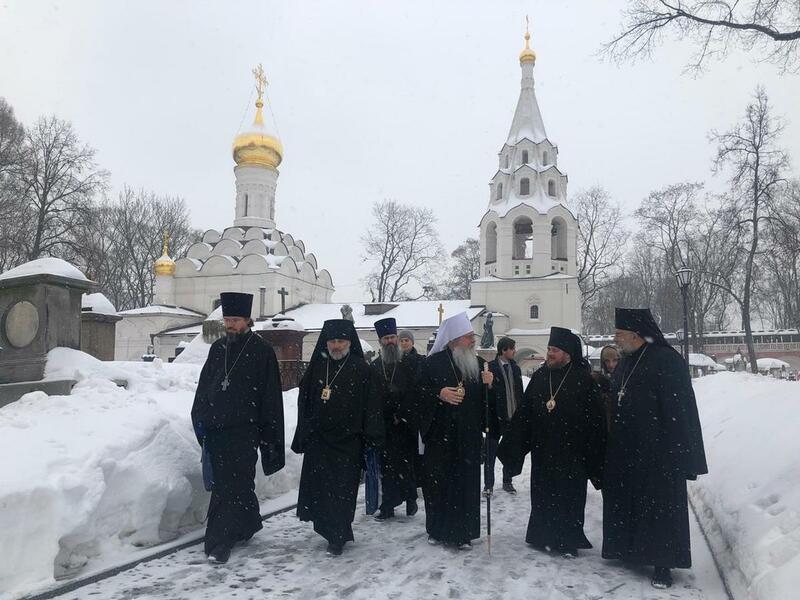 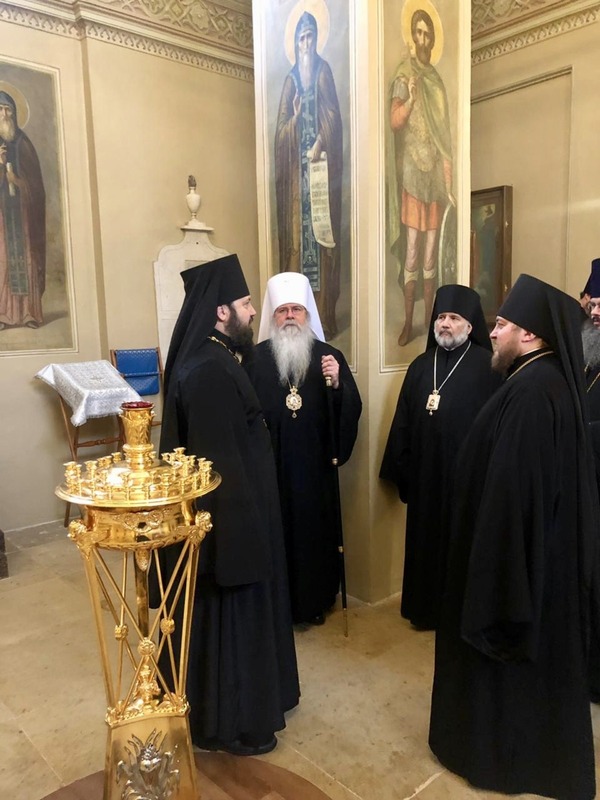 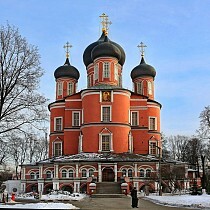 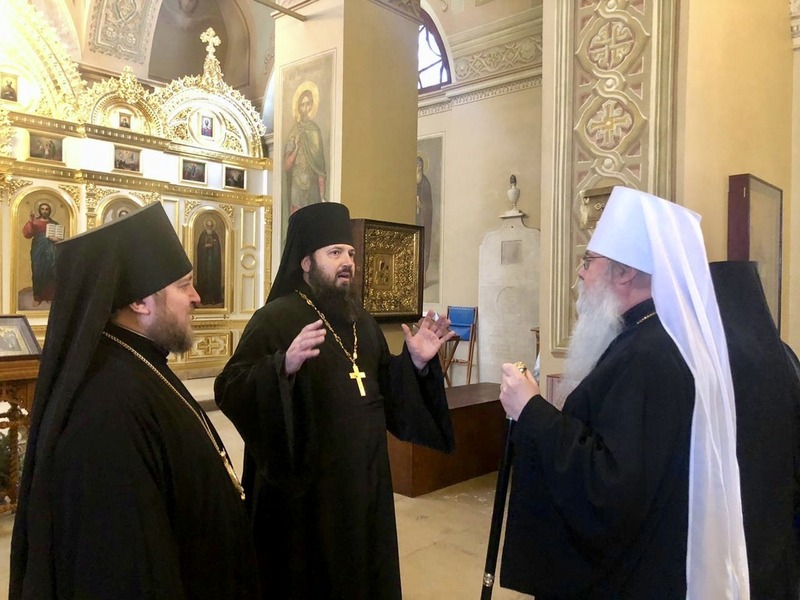 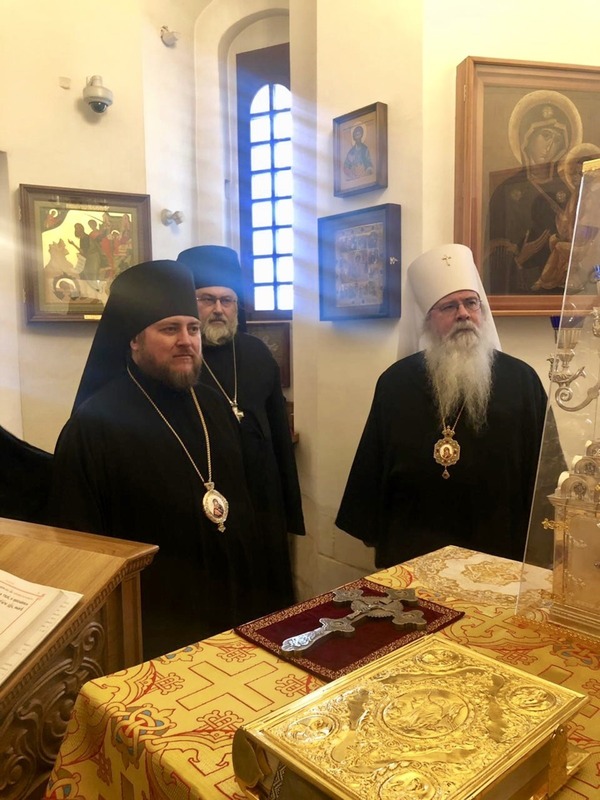 On February 2, 2019, in the connection with their visit to celebrate the 10th anniversary of the enthronement of His Holiness Patriarch Kyrill of Moscow and All Russia, a delegation of the Orthodox Church in America led by His Beatitude MetropolitanTikhon of America and Canada as well as Bishop Matthew of Surozh, visited Donskoy Monastery in Moscow. 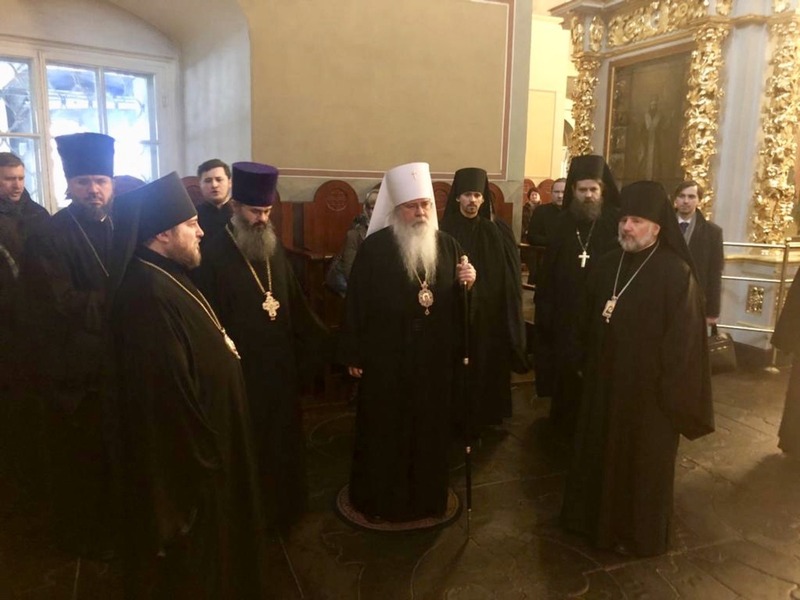 At the holy monastery the distinguished guests were met by the abbot of the monastery, Bishop Paramon of Bronnitsy, Vicar Bishop of His Holiness Patriarch Kirill. 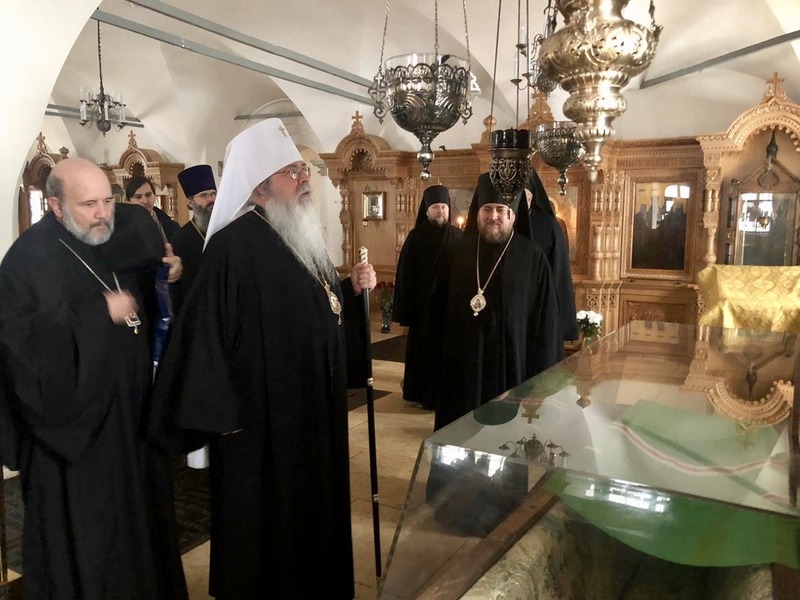 The Hierarchs and the delegation visited the cathedral in honor of the Don Icon of the Mother of God (the Great Cathedral), where they venerated the main shrine of the Cathedral - the revered ikon of the Don Mother of God located in the local iconostasis row to the right of the Royal Doors. 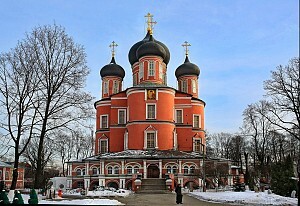 The icones back to the XVII century and was brought here from the Small Cathedral. 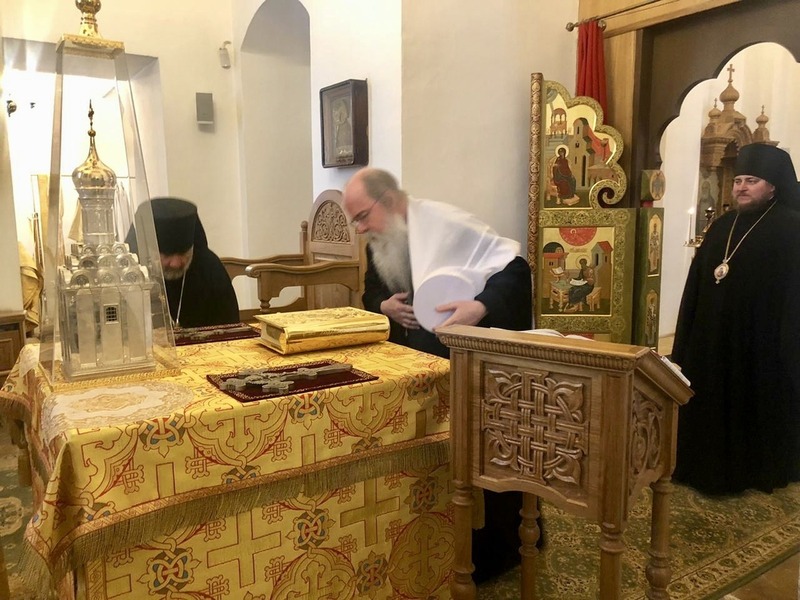 A moleben was served before the holy relics of St. Tikhon, the Patriarch of All-Russia. 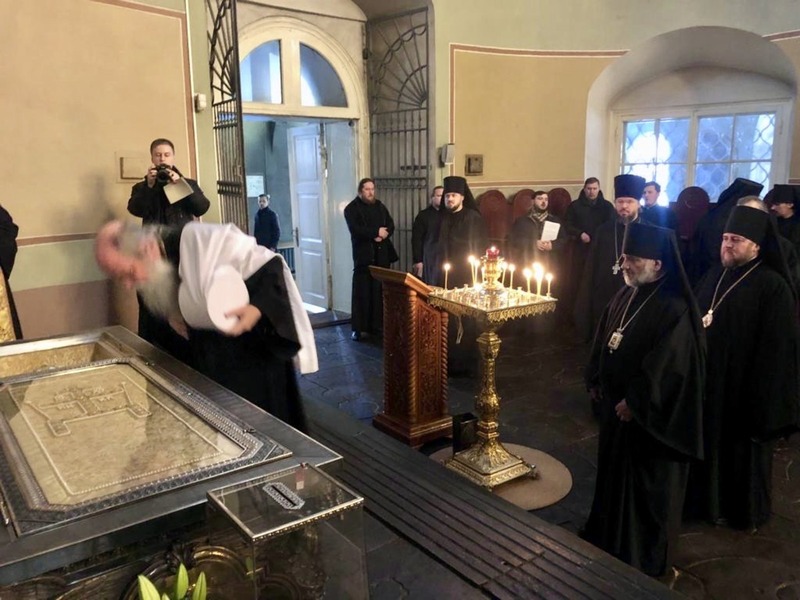 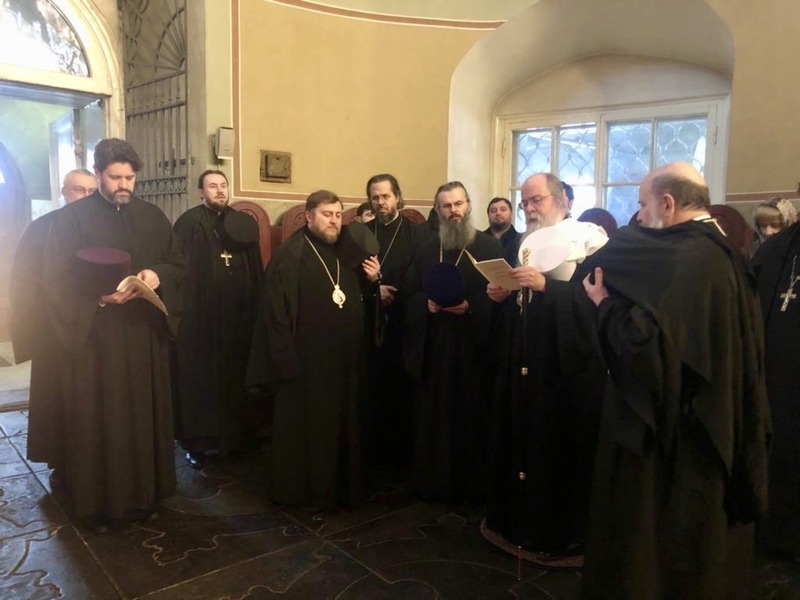 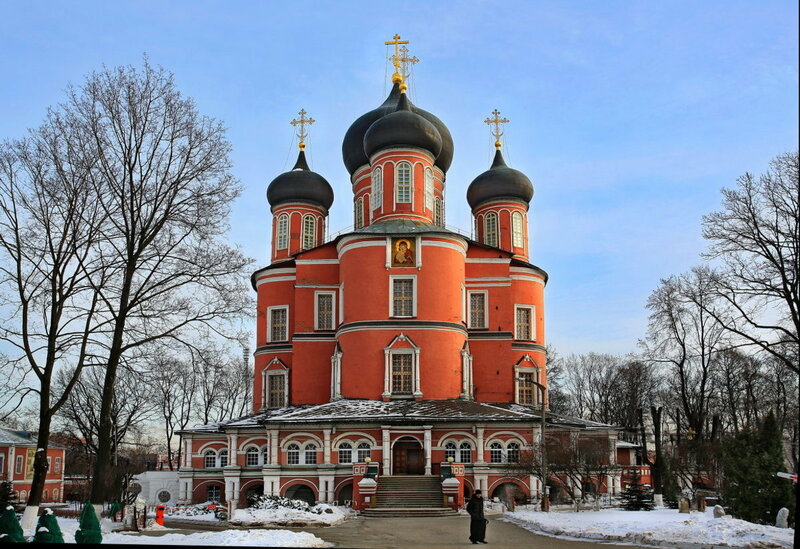 After visiting the Small Cathedral of the monastery, where St.Tikhon (Belavin), Patriarch of All-Russia, was buried in the southern part of the refectory church on April 12, 1925, His Grace Bishop Paramon hleld a reception in honor of the monastery guests.